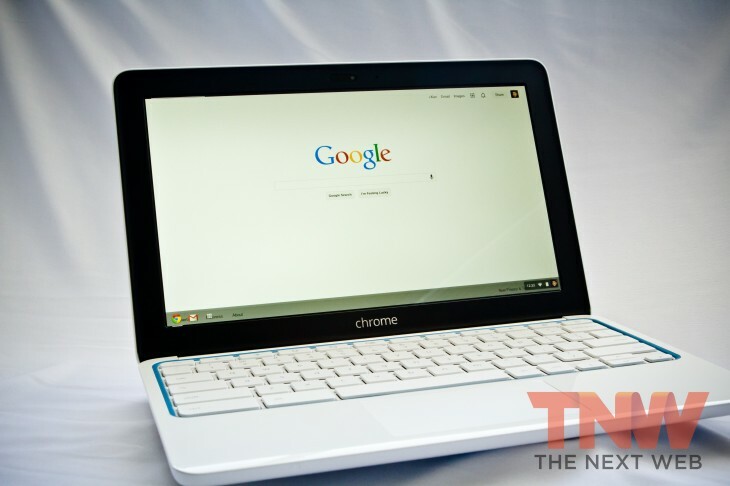 Is the world ready for another Chromebook? It appears so, as two more have already been announced, one of which being Google’s HP Chromebook 11. We had an opportunity to examine the Chrome OS laptop and see whether it was really worth paying $279.99 for. After about a week with the device, it’s certainly worth considering, especially if you’ve gotten over the “you need to have Internet access” thing. The laptop came in an unassuming white case with “Google” embedded on it. After opening it up, there lay before us the Chromebook all in white with some smatterings of blue around it. As touted, it is remarkably light (2.3 pounds), but based on the listed specifications, it seemed that this computer wouldn’t be just your ordinary Chromebook — it would appear that Google had some alternative uses for this. Costing just under $280, the HP Chromebook 11 is one of the more expensive low-end laptops carrying the Google brand. Previous computers such as Samsung’s and Acer’s C720 Chromebook are priced at just $249. 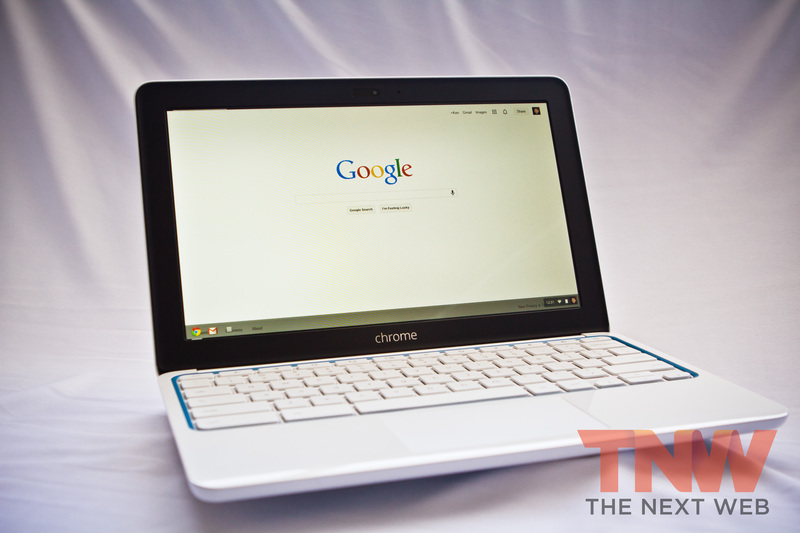 The sharp display and extended battery life are the most appealing features of the Chromebook. Other items such as the Micro USB port and data connection is additional icing on the cake, but before you go to Google and say “Take my money!” you should know more about the computer’s performance. We’ll skip reviewing Chrome OS simply because things haven’t changed that significantly since the last Chromebook came out. From a hardware standpoint, our first impressions when using the HP Chromebook 11 were that it felt cheap. The case is plastic and white, which might turn people away from it (think about the iPhone 5c versus the 5s), but you can get it in black although the same plastic feel remains. 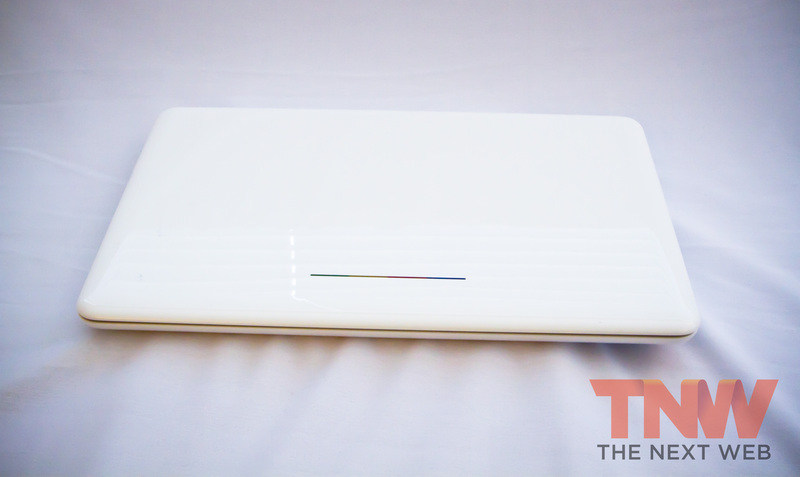 The cover on the Chromebook has Google color lights like those that appear on the Chromebook Pixel, but unlike the $1,500 model, HP’s computer does not intermittently illuminate after the cover is shut. It’s the small things, we know. Unlike the Samsung Chromebook, the coating has some shine to it and glossy feel, which could display more scratches and fingerprints if you’re not careful. The Chromebook 11 also offers a bit of customization — you can choose a variety of colors to make it your own. Remarkably thin for a computer, the HP Chromebook 11 can fit in most bags without occupying too much space — it’s slightly thicker than a Nexus 7 tablet. Powering on the device was pretty quick and just like with all Chrome OS devices, once you’ve signed into the computer using your Google account, it will automatically log you into Gmail, Google Drive, YouTube, Hangouts, and all the other Google services. The visual display on the computer is very similar to what you would get with the Pixel. However, it doesn’t come with a Gorilla Glass multi-touch screen and has a much smaller resolution (1366×768 versus 2560×1700). 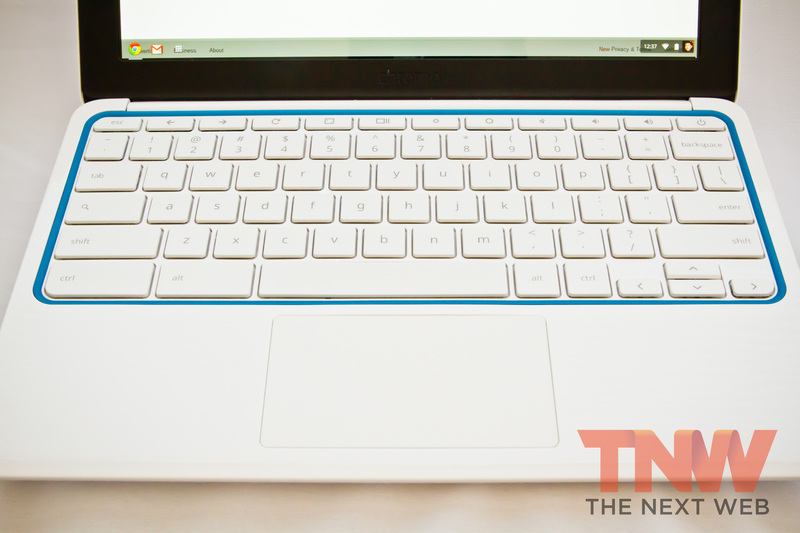 The HP Chromebook 11 display also appears to deflect light from its screen, making it easier to see what you’re doing on the computer. If you’re worrying about having to use a keyboard on this small 11-inch computer, then you’ll be happy to know that Google has inserted a full-size one, something that seems to come standard with Chromebooks — the keys are certainly not sunk into the computer like others. When we used it to type notes or documents, it felt natural like any other keyboard. The trackpad on the device works fine as well. We did have some difficulties in terms of scrolling up or down on a page, but it wasn’t a consistent issue and is most likely attributed to the sensitivity setting on the pad. Speakers are not visible on the HP Chromebook 11 — they’re built into the computer and located under the keyboard. We watched a YouTube video at full volume and the quality was pretty clear without any vibrations emanating from the bottom of the computer. At normal volume, you could step away and still hear the audio decently well. 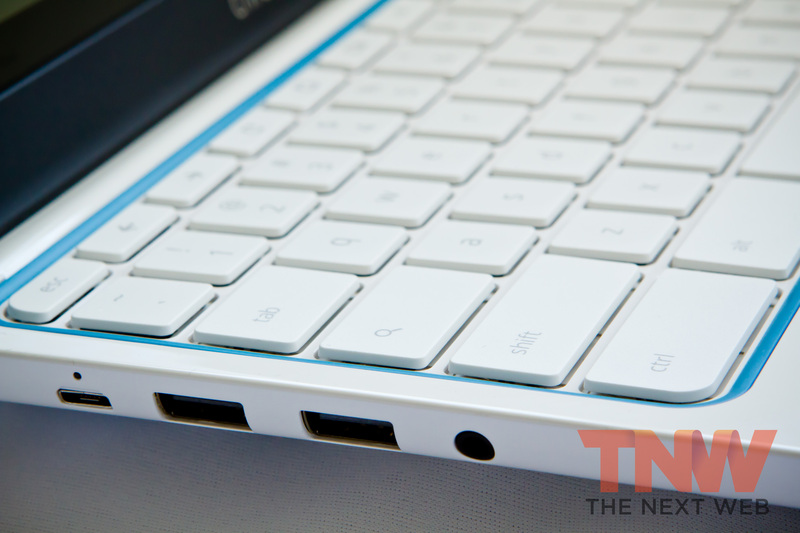 The Chromebook 11 has four ports located on the left side of the device. Unlike the Pixel, it doesn’t come with a card reader, which makes it difficult to add storage capacity — Google is depending on you to store files in Drive (more on that later). Just how fast is the computer? Pretty fast, unless you’re using it rather extensively. This is where Google begins to blur the lines in how the Chromebooks are being used. When the Samsung Chromebook was unveiled, it was touted as that third computer that you might have lying around in the home, perhaps to use while you’re watching TV or in the kitchen cooking. Now, these computers are coming equipped with better processors, more RAM, and more, which could make one wonder whether it’s intended to replace laptops like the Macbook Air or other PCs. During our tests, when you have more than 10 or so tabs open in the Chrome browser, things begin to slow down. The load time for webpages will begin to crawl and if you’re watching a YouTube video or listening to Pandora or Spotify, then you might hear some audio breakup. The fact that this computer has 2GB of DDR3 RAM is a bit of concern, which it’s only 1GB more than what the common netbook once came with. It would be nice to see Chromebooks come with more oomph, especially if they’re going to be viewed as a workhorse-style computer. The charger on the HP Chromebook 11 is pretty compact. It plugs into the computer’s micro USB port, which is compatible with other Android devices, including the Nexus 4 phone and Nexus 7 tablet. A downside of the whole thing is the length of the cord — it’s about as long as the charger for the Macbook Pro, but it doesn’t have any way to extend beyond that, perhaps one reason why Google felt that it would be nice to have a 6 hour long battery. The HP Chromebook 11 is a pretty sturdy computer and worth looking into, but as with all Chromebooks, the one thing that deters us from switching entirely over to them is the fact that Internet access is a requisite. The form factor of the computer is appealing, but when we took it out to a meeting, it became a hinderance to ask about WiFi passwords or needing to bring a MiFi card. While the Google’s latest Chromebook will support 3G and 4G data plans, having a WiFi-only computer means that it’s restricted to just the home or office as offline usage is rather disappointing since a majority of the features are dependent on the Internet. It doesn’t appear that Google wants Chromebooks to be the primary computers in your life, but finding ways to better integrate offline access could attract more users instead of them going after the Ultrabooks or a Macbook Air. However, if you’re convinced to get a Chromebook and have your eyes set on the Pixel, then perhaps consider the HP Chromebook 11 as more cost-effective alternative. The touch screen is pretty novel on a laptop, but you’ll wind up saving more money that you can use to upgrade your primary or secondary device. It also doesn’t hurt that Google is offering consumers 100GB of Google Drive cloud storage free for two years, a 60-day free trial to Google Play All Access, and 12 free sessions of GoGo Inflight Internet access when on a plane. Google has certainly produced a hybrid luxury computer that costs a fraction of what you would pay for the Pixel, but slightly better than a Netbook.